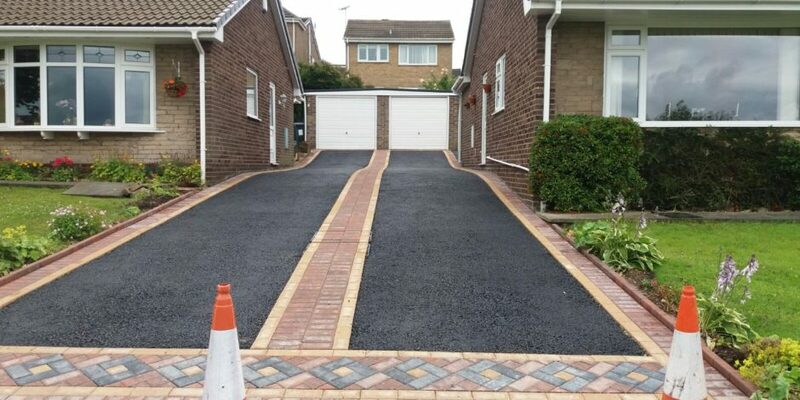 A driveway looks so much better with a quality Block Paving Edging to it. At Banbury Roofing and Paving we use a variety of suppliers enabling us to offer different colours and designs. Anything from keykerb, to chamfered, bullnose, or even ropetop, Some of the designs include a 200mm soldier edge, single stretcher edge. double stretcher edge, triple stretcher edge, quadruple stretcher edge, basketweave edge, and tumbled paver edge, Other more decorative patterns such as dutch pattern edge, harlequin edge and starter edges are also available. In this photo, we have dutch pattern edge paver at the front, with a combination of a soldier course and single stretcher.